I first discovered Iceland during the winter and I thought there was nothing more beautiful than Iceland in the snow ... After spending five winters on the island, I learned to appreciate the charms of the summer, but winter is still a special season that must be seen! It usually starts to get wintery in late October and this can last until April; generally the snow in the Reykjavik area doesn't arrive till around December, but it will arrive earlier inland and on the mountains. 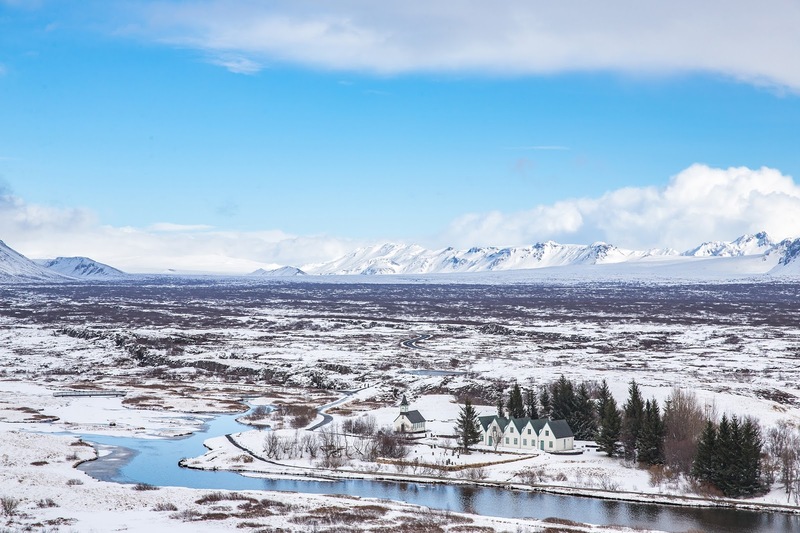 It is however important to remember that these are only guidelines –Icelandic weather is unpredictable, snow in June is not impossible and neither is it impossible for temperatures to exceed 10 degrees in October. The winter months are very dark with little daylight and night time lasting from 16 hours to 11 hours during the shortest months. 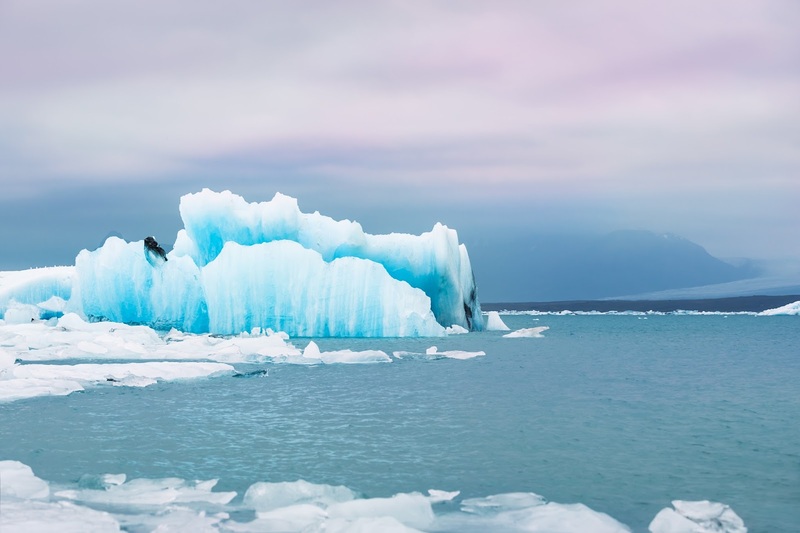 The weather can be unpredictable and erratic, although, it is not as cold as many people would believe it to be (it is much colder in New York or Canada) and temperatures are around zero degrees all winter. It is often windy though, and this makes it feel colder that it actually is. Pack suitable clothes in your suitcase. Be prepared to change your plans and your route if necessary because storms and road closures are common. Check road conditions here. One of the great wonders of the winter is of course the Northern Lights, which are visible from September to April. 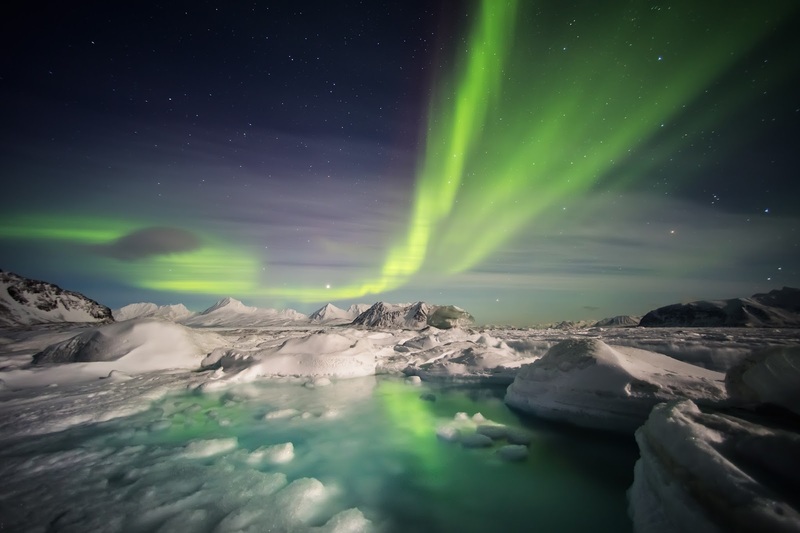 In order to see the northern lights, it must be dark with clear skies and a suitable amount of solar activity will have had to have taken place. You can try to spot them by yourself or enjoy the services of a guide during an excursion. The winter activities are numerous: skiing and snowboarding, dog sledding, snowmobiling, glacier hiking, you will always find plenty to do on your trip. Do not forget your swimsuit as pools and hot springs are a delight, especially in winter. In Reykjavík, you can also go whale watching throughout the year. The highlands of Iceland are not accessible during the winter. However, some sworn guides can take you there. Landmannalaugar is one of the most beautiful destinations in Iceland. What could be more magical than going there alone, with family or friends in the middle of a snowy paradise? Visit Landmannalaugar in the winter with a guide. Festivals and celebrations are plentiful in winter, the most famous certainly being the Iceland Airwaves Festival, and the most welcome Reykjavík Winter Lights Festival, which takes place in the middle of February, when light and energy are at their lowest! Enjoy the excitement of Christmas and madness of the New Year celebrations in Iceland.